the global ophthalmic drug market is projected to reach £30 billion by 2023, growing at a CAGR of 5.3% from 2017 to 2023. The CEO of Elasmogen, Dr Caroline Barelle was named as the winner in the “Rising Stars: Extraordinary Talent (2017)” category at Scotland’s Life Sciences Dinner & Annual Awards, held at the Hilton hotel Glasgow and attended by over 700 of Scotland’s top Life Sciences industry leaders on 16 May 2018. 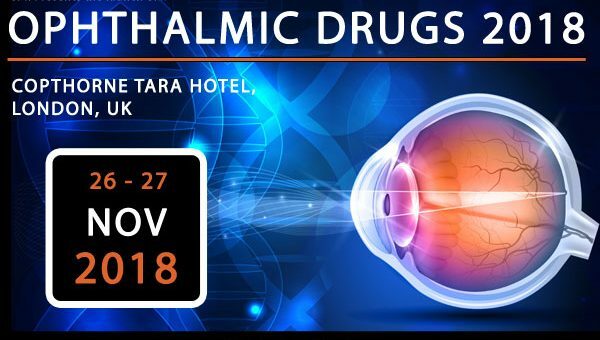 Dr Barelle founded Elasmogen Ltd in 2016 and has rapidly established the company as a global biotech with an international profile and late-stage, pre-clinical products positioned to make a “sight-saving” difference in ophthalmology. This award also recognises Dr Barelle’s success at securing collaborative partnerships with companies that include Almac Discovery Ltd and the US bio-pharmaceutical giant, Amgen Inc. Inherited retinal diseases (also called inherited retinal dystrophies, or IRDs) are a group of rare eye disorders caused by an inherited gene mutation and can result in vision loss or blindness. The conditions vary, but those with IRDs may face many similar challenges, including night blindness (nyctalopia), declining vision, or blindness at birth. At Alimera Sciences retinal disease is kept at the forefront. Their commitment to retina specialists and their patients is manifest in the product and development portfolio which is designed to treat early- and late-stage diseases such as diabetic macular edema. Some other notable areas of interest are current unmet needs for geographic atrophy, genetically defined therapies in AMD, preservative free and connected devices and other novel drug delivery strategies. The event will address the impact of the overwhelming digitalisation such as artificial intelligence in drug discovery and how companies, from biotech’s to pharma, need to adapt. It will also explore new strategies for treating retinal vascular diseases, the future of ocular gene editing and a regulatory perspective of the industry. Hear from opinion leaders such as Roche, Santen, Aerie Pharmaceuticals, MHRA, Nightstar Therapeutics, Santen + more. For those looking to attend, there is currently a £300 early-bird saving, ending June 29th. Follow ‘SMi Pharma’ on LinkedIn for latest pharmaceutical industry updates.